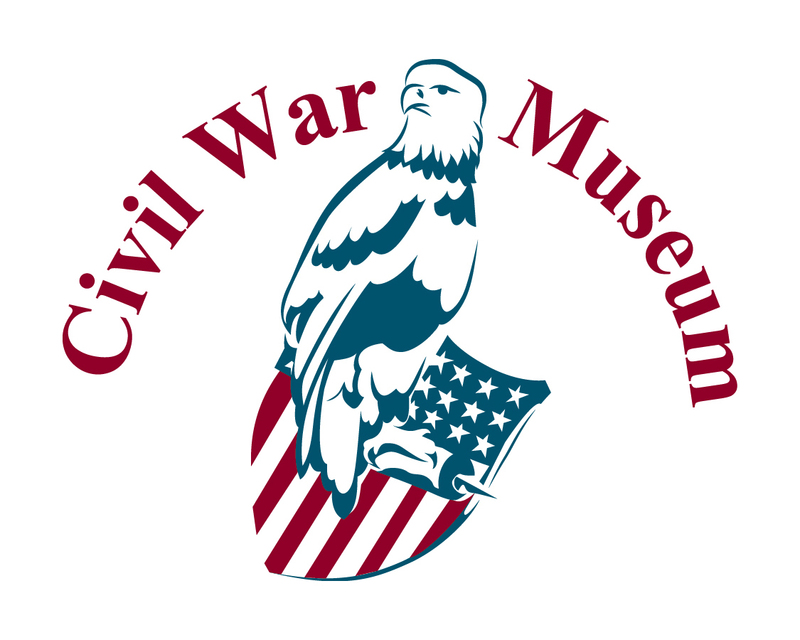 Enjoy a day of in-depth discussion at Kenosha Wisconsin's Civil War Museum: the 7th Annual Great Lakes Civil War Forum 1864: Hard and Total War will have multiple, well known presenters to discuss topics from the year 1864. 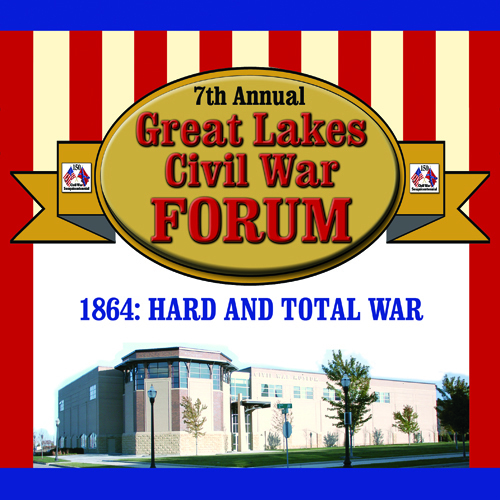 September 13, 2014	(Newswire.com) - 7th Annual Great Lakes Civil War Forum 1864: Hard and Total War. 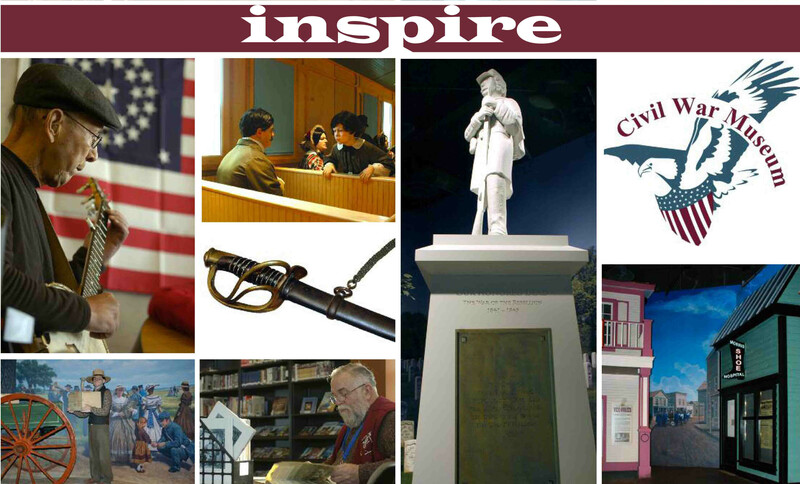 On Saturday, September 13th, from 8:30am to 4:00pm, head over to the Civil War Museum in Kenosha, WI for a day of fascinating discussions with well-known Civil War presenters. Dr. James Cornelius of the Abraham Lincoln Presidential Library and Museum will present International Views of Lincoln in 1864. Not only did people around the world have opinions of Lincoln by 1864, but their own political and cultural activities acted upon Lincoln's life and campaign in 1864, perhaps more so than in any other year. Dr. Cornelius will address some of the better-known aspects of the story - Maximilian's arrival in Mexico that year and ongoing diplomacy with Great Britain - as well as some of the lesser-known ripples that reached U.S. shores: how did Denmark, the Vatican, Shakespeare, and an Italian assassin in London figure in? Mr. Steve Acker will discuss the Life of a Late War Regiment: The 36th Wisconsin 1864-1865. As U.S. Grant's army prepared to attack the Mule Shoe of Spotsylvania, a fresh regiment of Wisconsin soldiers, led by a veteran of the Iron Brigade, left its home state bound for Washington City and the war. In less than a month that regiment saw the elephant of combat, lost its colonel, and suffered hundreds of causalities. From the first hint of combat at North Anna to Appomattox, the 36th Wisconsin Infantry illustrates the life of a late war regiment fighting in Virginia. Using the vivid memories of veterans of the regiment as his guide, Mr. Acker's talk follows the 36th from their early days in Camp Randall to the final muster in 1865. Mr. Greg Biggs will talk about The Atlanta Campaign - From Dalton to Kennesaw. The campaign for Atlanta is arguably the one that won the Civil War for the Union. The campaign's successful conclusion in September 1864 ensured the re-election of President Abraham Lincoln and proved to the Northern populace that his war was indeed being won. This was in stark contrast to the events in Virginia in the same time frame were the slaughter of Union troops continued with little to show for it. Three armies commanded by General William T. Sherman moved into north Georgia under orders to destroy the Confederate Army of Tennessee and break up Georgia's ability to wage war. Georgia was supplying most of the food used by Robert E. Lee's Army of Northern Virginia, many of its cannons and small arms, and all of its gunpowder which made it a major military target. Atlanta, with four major railroads, was a huge supply hub and transportation center. This program will deal with the personalities, politics, strategic planning, and the battles from Dalton through the first Kennesaw Line as well as the mistakes of both commanders. Mr. John Lundstrom will present One Drop in a Sea of Blue: Liberators of the 9th Minnesota Infantry. One Drop in a Sea of Blue is the story of the Ninth Minnesota throughout the entire Civil War. After a humiliating defeat at Brice's Crossroads, Mississippi, many soldiers from the 9th were held at Andersonville and other notorious Confederate prisons, where they suffered a death rate exceeding 60 percent. Yet the regiment also helped destroy the Confederate Army of Tennessee at Nashville and capture Mobile. With vital details won through assiduous research, Mr. Lundstrom uncovers the true stories of ordinary men who lived and died in extraordinary times. 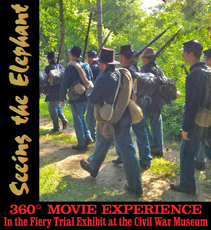 The cost of the all-day event is $60, which includes lunch and admission to all exhibits at the Civil War Museum including the movie Seeing the Elephant which gives visitors a 360° view of civil war combat. The cost is only $50 if you are a member of the Friends of the Museums. Registration is required so please call (262) 653-4141. More details are available at www.TheCivilWarMuseum.org. Civil War Museum Announces: FREE Family Holiday Event: A Victorian Christmas; Fun for All Ages, Celebrate in Kenosha WI, With Music, Crafts and Games! Celebrate a Victorian Christmas with the Kenosha Civil War Museum, Saturday, December 5th, 2015, 11am to 5pm. Fun for the whole family, all ages. Enjoy programs, music, crafts, and dances from the Civil War era. Make Christmas ornaments and cards, play games, enjoy performances by the Civil War Christmas Singers, and the West Side Victorian Dancers. Sponsored by the Friends of the Museums. The Civil War Museum presents On the Way to War. This exhibit explores the universal experiences of soldiers as they entered into war. Currently on display in the Antaramian Gallery through March 1, 2015. Picture a Book: The Illustrations of Renee Graef exhibit will be on display from October 11, 2014 to January 11, 2015. Learn how Renee Graef approaches illustrating a book and popular book programs she has worked on over the years.